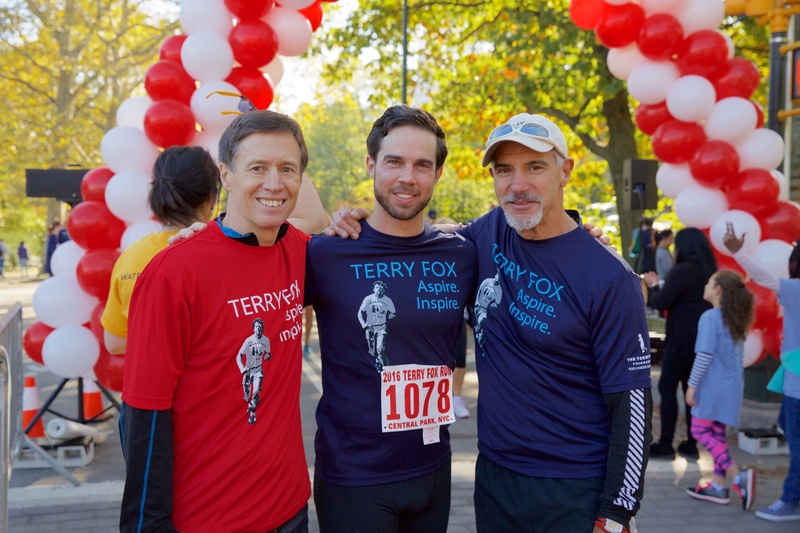 What an amazing run we all had earlier this month, with friends, family, colleagues and other supporters of the Star Mountain Charitable Foundation coming out to help raise money for cancer research at the Terry Fox event in Central Park. We are so incredibly thankful to everyone who supported the Star Mountain team and helped us become the highest fundraising group for the New York City run with 100% of all proceeds from the run go directly to Memorial Sloan Kettering Cancer Center for cancer research. We couldn’t have done it without you! Over 3,000 participants gathered in New York’s Central Park on Saturday, October 15th to support the development of cancer research in honor of Terry Fox. It was a beautiful fall day and we couldn’t have been more proud to join together to celebrate Terry’s legacy, while keeping his dream of finding a cure for cancer alive. Terry decided to run across Canada, some 6,000 miles, to raise money for cancer research. On April 12, 1980 at St. Johns, Newfoundland, Terry dipped his artificial leg in the Atlantic Ocean and began what he called the “Marathon of Hope”. For the next 143 days he ran 26 miles per day, the marathon distance, crossing 3,300 miles until, on September 1, 1980 near Thunder Bay, Ontario, he was forced to stop. The cancer had spread to his lungs and he died on June 28, 1981, a month shy of his 23rd birthday. Star Mountain Capital has been a supporter of the Terry Fox Run for Cancer Research for many years now, as part of our broader efforts to help raise money and awareness for cancer prevention and treatment. Our founder and CEO Brett Hickey, lost his mother to cancer at the age of 6 and in 2014, he lost is beloved aunt to this disease. Brett believes that one day we will be able to beat cancer, and the more research we do, the sooner that day will come. Join us next September – we’re running every year and we’re running – for life! Here are a few photos of our team at the event and the celebration following.